The 19-inch 1.3MP display with IPS technology offers an outstanding picture quality along with perfect wide viewing angles. 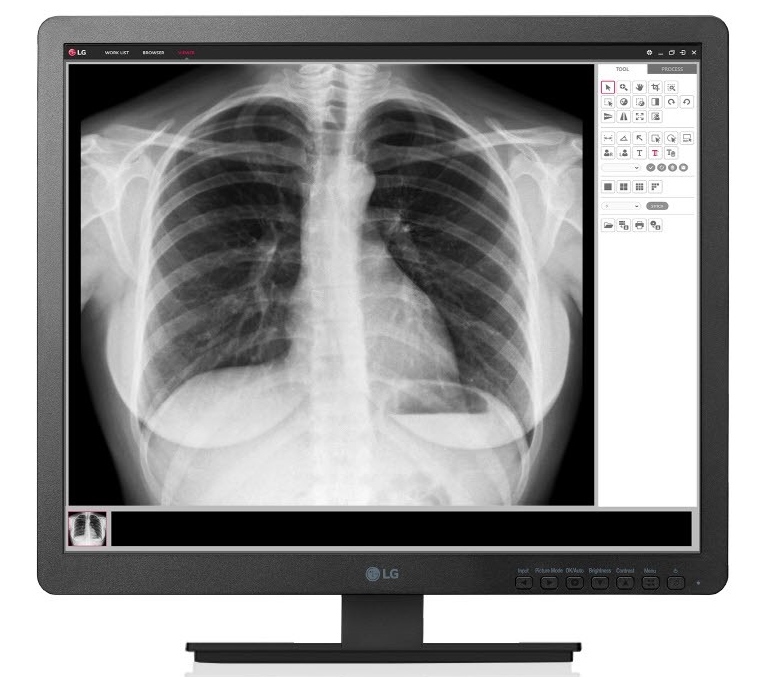 DICOM Part 14, published by the National Electrical Manufacturers Association (NEMA) and the American College of Radiology (ACR), provides strict guidelines for how grayscale display function calibration and quality assurance tests should be performed on monitors used in medical imaging applications. Whenever scanning is performed after checking up, a lot of heavy information is created and it can be difficult to clearly get all of this information at once. Dynamic Sync Mode is only available to 60Hz input source. Flicker Safe reduces on-screen flickers, which helps minimize eye strain and eye fatigue. By combining flicker-safe with the proven picture quality of IPS technology, users can comfortably work throughout the day.